Next Monday the final review of the studio course “Interactive Dance House Helsinki” will be held in the old building designed by Alvar Aalto of the Department of Architecture at Otakaari 1 (seminar room M134). The course is a collaboration between Aalto University in Finland and Tsinghua University in Beijing, China. Group X’s members Teemu Kurkela, Fernando Nieto and Claudia Auer are participating as teachers in the studio course. The project is based on a real initiative and need for performance spaces for a leading dance education center and theater in Finland. The city has suggested a site by the Cable Factory cultural center and preliminary studies have been done about it by the Helsinki City Planning Department. The Dance House building will be exceptional even by international standards, and it will include a unique design and spatial arrangement embracing a wide variety of different genres of dance culture. 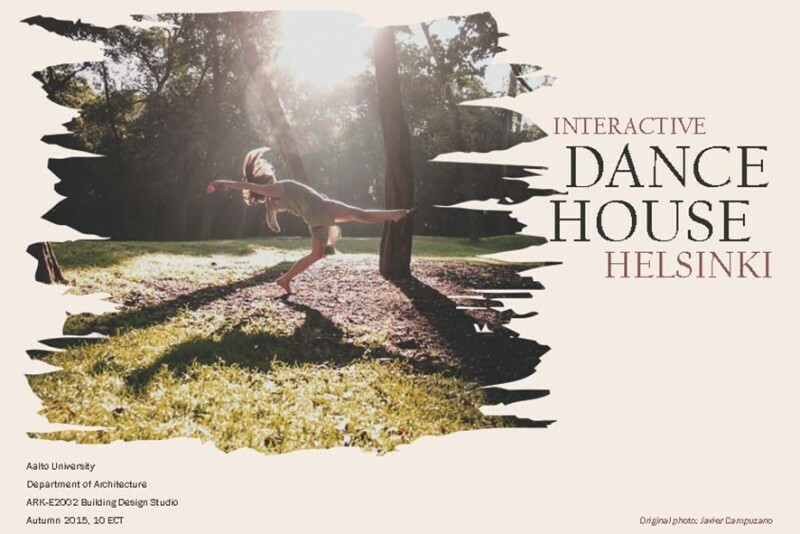 The Dance House will be an accessible and welcoming gathering place for the public while providing amenities for high quality performances of other art forms. The Dance House will also ease the decades-long, chronic shortage of rehearsal and performance space for dance artists.